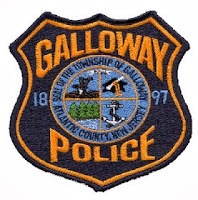 Galloway Township Police responded to 729 calls for service during January 26, 2014 through February 1, 2014. Additional statistics include: 3 Burglaries, 18 Motor Vehicle Accidents, 13 Tickets issued, 1 Driving While Intoxicated, 26 Arrests, 11 Domestic Violence, 10 Fire Calls, 22 EMS Calls and 0 Juvenile call. Matther Ernest Henry, 27, of Hamilton Twp. was arrested by Det. Ro Latoracca for burglary and theft on January 27. Nicholas A. Sheer, 21, of Galloway was arrested by Ofc. Paul Smith for receiving stolen property, contempt, and hindering apprehension on January 27. Jose J. Diaz, 29, of Galloway was arrested by Ofc. Jacqueline Crocker for hindering own apprehension on Januray 28. Corey W. Chadwick, 18, of Jackson NJ was arrested by Cpl. Jerry Houck for possession of less than 50 grams of marijuana on January 28. Mark W. Woodall, 28, of Hamilton Twp. was arrested by Ofc. Przemyslaw Ryba for possession of less than 50 of marijuana and drug paraphernalia on January 29. Matthew J. Kotokpo, 26, of Galloway was arrested by Ofc. Justin Butler for improper behavior and criminal mischief on January 30. James R. Daraklis, 21, of Galloway was arrested by Ofc. Ronald Gorneau for DWI on January 31. Eric M. Cruz, 19, of Galloway was arrested by Ofc. Vincent Ceci for possession of less than 50 grams of marijuana on January 31. Paris Goff, 20, of Northfield was arrested by Ofc. Gary Brenner for shoplifting on February 1.